Glenn Remick, the Darts promoter who helped put the sport on the map in America, died on November 2nd in St. Louis. 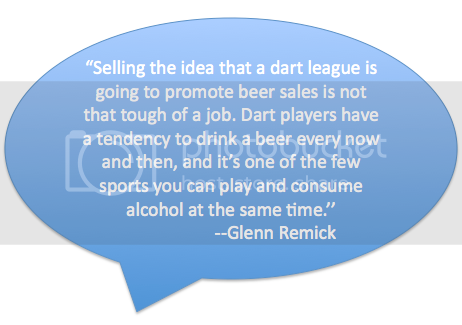 From playing in various pubs as a teenager to opening a darts supply store to his founding of the American Darts Association, Remick used his enthusiasm for the sport to promote its awareness to a wider cast of players, fans and sponsors. "Glenn Remick, a beer-loving former construction worker who played a leading role in transforming the barroom game of darts into a national sport, with league members competing in large venues (though they could always still toss back a brewski), died on Nov. 2 in St. Louis," the New York Times writes. In 1980, after moving to St. Louis he started the American Darters Association and convinced the world's biggest sports sponsor to invest in the sport through sponsorship. Read more on Remick's life from the New York Times.